Nanjing Children’s Hospital was founded in April 1953, formerly known as the Sacred Heart Children’s Hospital founded by the Franciscan Missionaries of Mary in 1936. 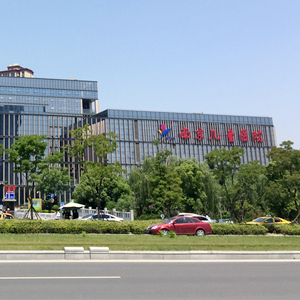 In 1999, Nanjing Children’s Hospital became an affiliated hospital to Nanjing Medical University and now it is a comprehensive pediatric medical institution with medical, research, teaching, prevention and rehabilitation. By 2016, there were 2260 members of staff working in the hospital, providing medical services for 2.29 million patients, discharging 70,000 sick children and completing 22,800 surgeries during the year. The original location of Nanjing Children’s hospital is in downtown Guangzhou Road, Nanjing in Eastern China. In this region the roads are very narrow and the huge number of patients and their vehicles not only blocked the traffic but also threatened the safety of the patients and other passengers. So, the Nanjing municipal government invested 1.97 billion RMB ($300 million USD) to build a new facility in Nanjing Hexi District. The new Hexi branch covers an area of 915,000 square feet (85,000 square meters) with 1.8 million square feet (168,000 square meters) of construction area. The main hospital building has 12 floors and one underground floor. The project was officially completed on May 30th 2016 and put into immediate use.